	To configure CISCO Router, D-Link Core switch, L2/3 Switch, Security product D-Link Firewall and Sun Microsystems Cluster Server etc. 	Understanding customers LAN planning for over an area of 5 kms. 	Selecting and deploying various physical layers transportation medium including fiber optical cable, UTP cable and Wi-Fi security. 	Deploying a core switch and various area switches for network distribution. 	Server deployment for various services – Web and FTP server, Proxy server, Active Directory, DHCP and DNS server, Antivirus server, Internet mail server, network management and monitoring. 	Administer routine computer support tasks and other special projects as assigned. 	Deployment, testing and maintenance of Biometric attendance systems for the employees and students. 	Testing and handing over the servers. Computer system, Network Printers and other Peripherals Installation and maintenance. 	Maintenance of CIP’s official website by coordinating with National Informatics Center. 	Planning and supervising annual entrance examination which includes building web portal for online application submission, admit card distribution and post examination process (OMR sheet correction and result publication). 	Knowledge transfer and training to the staffs for prolonged maintenance and efficient usage. 	As a member Purchase Committee, deciding on procurement of IT related equipment including Hardware (Physical Severs, Networking equipment both active and passive), Software’s (Servers, Applications and frontend software’s) and Biometric Attendance System. To configure CISCO Router, D-Link Core switch, L2/3 Switch, Security product D-Link Firewall and Sun Microsystems Cluster Server etc. Understanding customers LAN planning for over an area of 5 kms. Selecting and deploying various physical layers transportation medium including fiber optical cable, UTP cable and Wi-Fi security. Deploying a core switch and various area switches for network distribution. Server deployment for various services - Web and FTP server, Proxy server, DHCP and DNS server, Antivirus server, Internet mail server, network management and monitoring. Administer routine computer support tasks and other special projects as assigned. Deployment, testing and maintenance of Biometric attendance systems for the employees and students. Testing and handing over the servers. Maintenance of CIP's official website by coordinating with National Informatics Center. Planning and supervising annual entrance examination which includes building web portal for online application submission, admit card distribution and post examination process (OMR sheet correction and result publication). Knowledge transfer and training to the staffs for prolonged maintenance and efficient usage. As a member Purchase Committee, deciding on procurement of IT or IT related equipment including Hardware (Physical Severs, Networking equipment both active and passive), Software's (Servers, Applications and frontend software's) and Biometric Attendance System. CIP - IT infrastructure planning and implementation. o configure CISCO Router, D-Link Core switch, L2/3 Switch, Security product D-Link Firewall and Sun Microsystems Cluster Server etc. Title: Complete IT infrastructure planning and implementation. Organization: Central Institute of Psychiatry, Ranchi in Contractual besis. 	Extensive exposure to IT infrastructure management with more than 400 front-end. 	Exposure to Cisco Routers and Core Switch, Catalyst Switches, L2/3 Switch, Sun Microsystems Cluster Server. 	CISCO Routing and Switching. 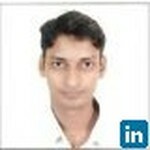 	LAN, Wi-Fi (Wireless LAN) infrastructure planning and implementation. 	Antivirus Sever of Kaspersky Open Business security and Symantec End Point. 	Active Directory, DHCP, DNS, Squid Proxy, Kerio Control. 	Fiber and Ethernet Cabling. 	Computer system, Network Printers and other Peripherals Installation and maintenance. Join Today to follow and contact Mohammad Alam.